Awesome Friday! Rogue One: A Star Wars Story Archives - Awesome Friday! The Star Wars trilogy has never held that special place in my heart that it holds in so many others. That’s not say that it isn’t a staggering work of creative genius, just that there are two types of nerds in the world and I happen to be the kind whose heart is ruled by Trek rather than Wars. They are staggering works of creative genius though, and I can remember renting VHS copies of all three movies from the local video store in my hometown, and watching them whenever they were broadcast on one of the five television channels we received when I was growing up. I remember taking a trip to the big city to watch the Special Editions in theatres when they were re-released in 1997. I also remember being over the moon when the trailer for The Phantom Menace dropped. I couldn’t tell you what movie we saw it with, but I remember going to a movie just to see that trailer. Of course I also remember being pretty profoundly let down by the entire prequel trilogy, as were most people I knew (at least the ones who weren’t in denial). The prequels soured a lot of people on George Lucas, including me. Lacklustre direction, effects over story, and seemingly endless tinkering with all the films for every release was enough to leave a bad taste in any fan’s mouth, and for a long time it seemed like Star Wars might never, you know, be good again. Then Disney bought Lucasfilm and once again there was hope. 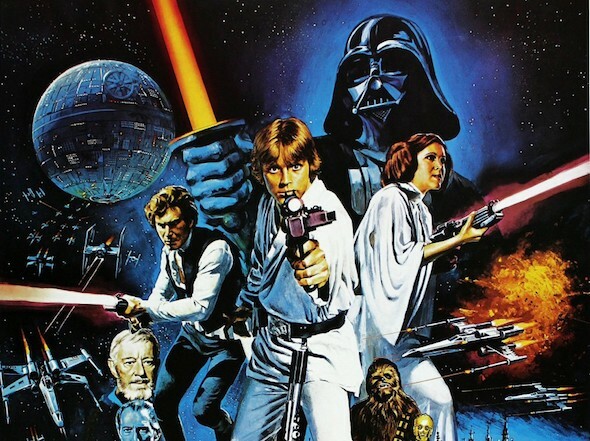 Fast forward to the present, we are in a new age where Star Wars is good again and there is much rejoicing. I haven’t rejoiced as much as most though, so while Rogue One was in theatres I watched all 8 movies in timeline order in an attempt to figure out why that is. So here are my thoughts. Needless to say there will be spoilers. 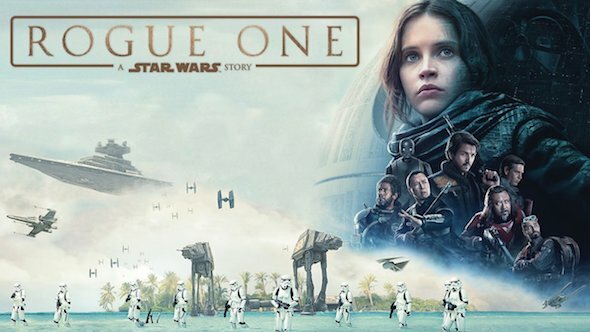 Rogue One: A Star Wars Story is released on Blu-Ray today, so we’ve taken the opportunity for a little love letter. 1977 was an important year for me. Firstly, it was the year I was born, so maybe important is a bit of an understatement. It’s the year Elvis died – we shared a month on the planet before his heart skipped away. And on May 25th, Star Wars was released in America. 2016 was a good year for film, and anyone who tells you different didn’t see very many films. I’ve already posted my best films of 2016, but there were plenty more films that didn’t make my best of list that you should definitely make the time to see. So then, let’s take a look at the not-quite best of 2016, presented here in alphabetical order. 2016 has been conspicuous by our absence. It almost seems strange that, in a year where everything went wrong, with so many adored artists and creators being whisked off to the afterlife, the events of the last twelve months have barely been registered on Awesome Friday.